Move Over Billy Mitchell and Steve Wiebe. There is A New Donkey Kong Champion in Town!! One of my favorite and I think one of the best documentaries ever made was “King of Kong: A Fistful of Quarters”. 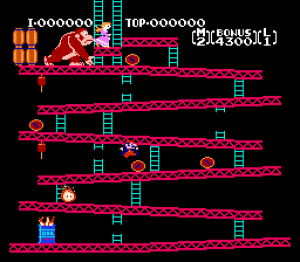 It followed two men on their journey to attain the highest score of Donkey Kong. Knowing that, it really is a story of GOOD VS. EVIL. But since the documentary where Wiebe beat Mitchell(the champ for highest donkey kong score) , and then Mitchell beating Wiebe for the title back, the newcomer, Hank Chien (a plastic surgeon) defeated Mitchell for the title only to have Mitchell take the title back from Chien. Bu then Wiebe stole the title from Chien this past September only to be knocked back down to 2nd place by Chien this past January. WHHHHEEEEWWWW!!! This new documentary is about Hank Chien. The film is called “Doctor Kong: Cutting Up The Competition”. After watching the trailer, Chien is extremely likeable. He is one hell of a goofy laugh and just generally looks like he is enjoying life. I cannot wait to see this film. I hope they screen it in Dallas. Click HERE TO goto the film’s website. And check out the trailer below. Director Seth Gordon Lands ‘Uncharted’!! Cut. Love. Live. Play. Kong. Bryan Falls In Love With The New Documentary Short “Doctor Kong”!!! A Review!!! Check out the Trailer for Motherland! This entry was posted on Wednesday, March 16th, 2011 at 3:21 pm	and is filed under Film, News. You can follow any responses to this entry through the RSS 2.0 feed. You can skip to the end and leave a response. Pinging is currently not allowed. « Geek Deal of the Day Let’s You In The Secret Club of The Little Rascals!! !